'Facebook Home' makes Other Social Networks’ Content available on its Lock Screen! Home > Blog > Blog > ‘Facebook Home’ makes Other Social Networks’ Content available on its Lock Screen! ‘Facebook Home’ makes Other Social Networks’ Content available on its Lock Screen! Facebook recently announced that they will be adding new content to its Facebook Home lock screen. According to this news Facebook Home for Android beta testers will now be able to access Instagram, Pinterest, Flickr and Tumblr content without needing to unlock their phones. Users can now Like and view posts from these other platforms however it is not still clear that what other apps may be available to Home users in the coming time. Just a few weeks ago before this news was announced, Facebook CEO Marke Zukerberg declared at TechCrunch’s Disrupt event in San Francisco that an update is soon going to be released. Released in April, Facebook Home, is actually a software that allows Android users to get Facebook updates and content directly to their lock screen. However, since the time it was released, it is considered to be a relative slip-up in Facebook’s revived mobile strategy. Well! The multi-platform content access news is just an attempt by Facebook to put Home back on the map for Android users. The smartphone users who utilize Facebook Home can integrate other apps with this software by going to their mobile’s settings and selecting the apps they want. However, those who are downloading Facebook Home for the first time will be asked upon login to select other content streams they want to see on their lock screen. The update however is not available for all of Facebook Home’s Android users and those who have opted-in to Facebook’s beta tester program will only be able to utilize it. 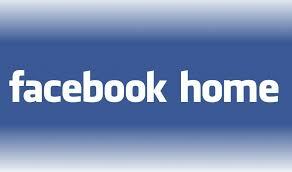 As of now, we have no clue as to when the update will be available for all the Facebook Home’s Android users.